Volume Metric Size: 10 ml. 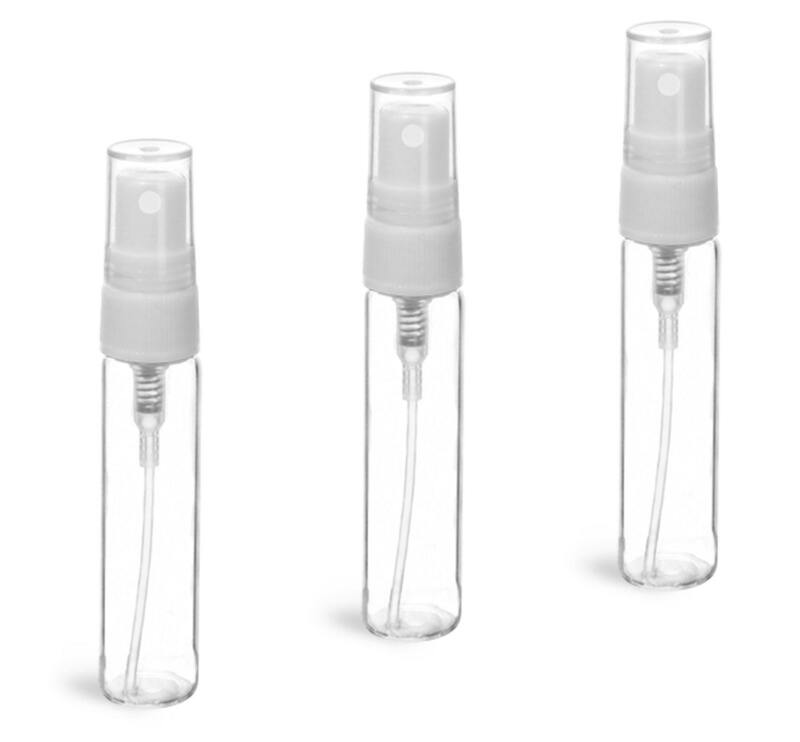 These MagnaKoys® clear glass screw thread vials include white fine mist sprayers and over caps. These mini sprayer vials could be ideal for packaging sample or travel sizes of personal care products such as body sprays, perfumes and breath fresheners. Be sure to test the clear glass vials with your product for proper compatibility. We also have 3 ml, and 5 ml available in our store. For Smaller quantities see our other listing.